Need Help With Your Collision Claim? If you’ve been in an auto accident and need to file a collision claim, you might be a little uncertain how to do that, especially if you haven’t had to file one before or if the insurance company is a new one to you and their procedures are different. The first thing you want to do is seek medical attention if it’s an emergency. Most collisions aren’t, though, so you should report the accident to the police, and never, ever admit that you were at fault – even if you clearly were. Let the police and/or your insurance company come to that conclusion. Also, get the personal information of the other driver, and take pictures of the scene if you have a camera or a camera phone. Try to get the insurance information of the other driver, along with his or her personal information. 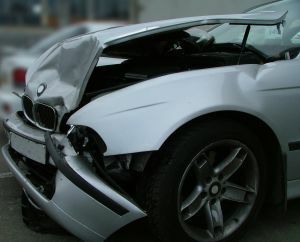 Within the next few days you should talk with a lawyer, because he or she can help you establish your rights, see what kind of claim is possible against the other driver and the insurance company, and make sure that your insurance company is fair to you – especially if the collision wasn’t your fault. Some companies will try to pin fault on the other driver because they don’t want to pay a claim, so watch out for the possibility that the other driver’s insurance company will try to do that to you. The police report and any pictures you took at the scene can help.